As the PTSA board starts getting ready for the upcoming school year, we wanted to take one last opportunity to say thank you to all our amazing volunteers this past year. It’s an endless list. Too many to list them all here, but a super warm and fuzzy thank you to anyone and everyone who helped out at any of the shows, meetings, principal chats, field trips, events, audition days, and more. Thank you for all your efforts & please come back to visit with us soon! For those of you that are continuing or joining us this next school year, please let us know if you are interested in volunteering. There are a wide range of opportunities. You can sign up on our website and we will reach out to you shortly! Save the Date for the Asawa SOTA Picnic! Please join the Ruth Asawa San Francisco School of the Arts community as we kick off the 2017-2018 school year and our 35th anniversary year long celebration with a school wide picnic on Saturday, August 26th from 12pm to 3pm. This picnic kicks off a year of celebration, marking the 35th Anniversary of the School of the Arts, renamed Ruth Asawa San Francisco School of the Arts in 2010, after Ruth Asawa, artist, educator and passionate arts advocate. The afternoon will be filled with delicious food, fun entertainment, exciting activities and wonderful community building. Please help us gauge attendance with your RSVP on Eventbrite. Click HERE. Get Your Music On . . . All Summer! We hope your summer is off to a great start and that you can join us at one (or all) of the IM House Concerts which will directly support the Orchestra and Band's Fall 2017 Retreat. Please click HERE to get a few more details and to sign up. If you already signed up at the Band & Orchestra concert this past May, we already have your contract information and you will receive a confirmation shortly. Thanks to all who helped and donated items to the Senior Luncheon today! And a special shout out to Kate Stacy & Nancy Murphy for coordinating. All students received a Special "SOTA "Class of 2017" glass and there are few extra available if anyone would like to purchase. You can pick them up right after the graduation tomorrow or in the main office on Friday morning. CLICK HERE to purchase online. Any questions, please contact us at asawaSOTAptsa@gmail.com. If you would prefer to pay with cash, please email the quantity and when you would prefer to pick up (after graduation or at school Friday morning). Musicians, Dancers, Actors & Singers wanted for the Flower Piano Event on Wed, July 19th in the Botanical Gardens in Golden Gate Park. Sign Up Today! The Botanical Gardens in Golden Gate Park will host the 3rd Annual Flower Piano Event this summer from Thursday, July 13th through Monday, July 24th. Asawa SOTA has been invited to participate on Wednesday, July 19th between 4pm and 6pm. Click HERE to sign up! Jessa Barzelay (brother Nick is a SOTA alum), is the Director of Learning and Engagement for the Botanical Garden, and has offered us one afternoon, four performance spaces, two hours, for Asawa SOTA students to perform in the beautiful gardens! Each space will have a piano available - dancers, singers, actors, all our musicians, are welcome to claim a spot and dance, sing, play any and all instruments, to their hearts' content! The performance spaces are The Garden of Fragrance, the Exhibition Garden (also known as the Thomas Church Pavilion), the Great Meadow, and Fountain Plaza. Please sign up for a 1/2 hour performance time, and have fun with your friends over the summer. We will also need student managers and parent volunteers to represent the school and make sure our group is organized, answer questions, and enjoy this great opportunity to perform al fresco! 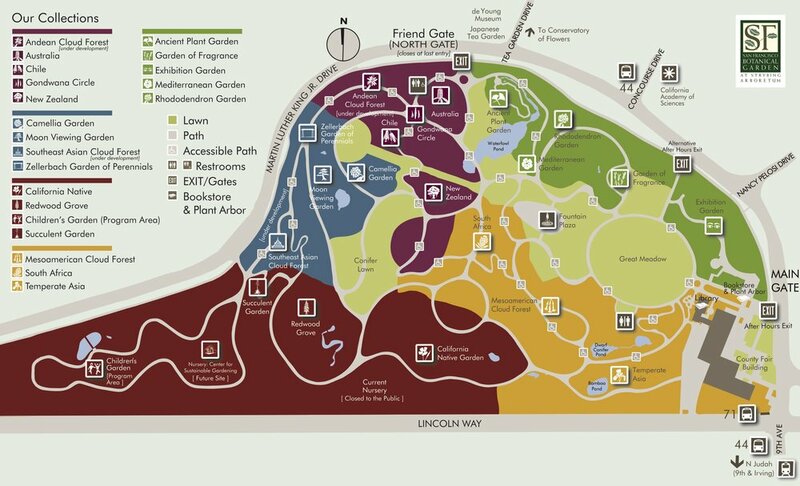 There will be one meeting on-site at the Botanical Garden, to meet with Jessa and tour the performing spaces. Time and date TBA. Admission to the event if FREE to residents of San Francisco, make sure to bring your ID with you. Questions? Contact Anne Yanow at volunteer@sfsota.org for more information. Please join us for our last PTSA meeting of the year! This coming Wednesday, May 10th at 7pm in the cafeteria. We will be celebrating the year and all our fabulous volunteers. To help us gauge attendance, please RVSP HERE. New families welcome to attend. We have lots of fabulous upcoming shows and we will need volunteers to help with ticket sales, ushering and concessions. See our volunteer page for links to sign up! Links updated weekly! We also have the AP Exams coming up, the first two weeks of May. We need help proctoring each of those exams, so please consider signing up for a shift. Click HERE! 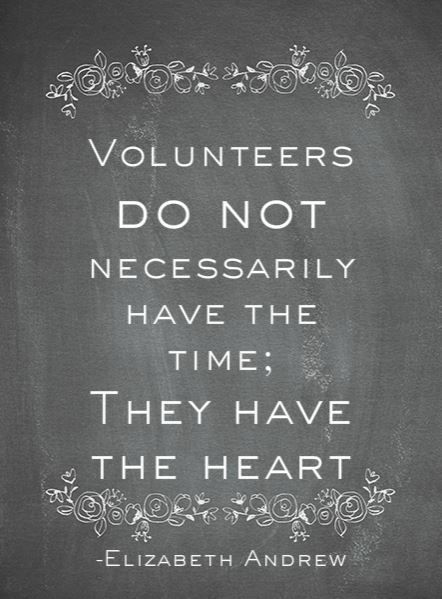 All volunteer opportunities are also posted on our school loop page. Please join us for our monthly PTSA meeting this coming Wednesday, April 12th at 7pm in the school library. See the flyer for details! And help us gauge attendance so we know how much food to order. RVSP HERE! Thank you! Our College Workshop Series begins This Thursday! Please join us. Please join us for Part 1 of our College Workshop Series: College Planning 101. All grade levels welcome to attend. Mr. Ben Rombro, Head Counselor and Ms. Beth Alberts, College Counselor will provide an overview of the college application process and what support the school can provide, including a timeline and tips for getting a handle on the college process. Transcripts will be available for all Junior students/families. All workshops are free of charge. Asawa SOTA and Asawa SOTA PTSA do not endorse any of these services. We provide these workshops as an educational opportunity for our students and families. Coordinated by the Asawa SOTA PTSA. Save the date & join us next Wednesday, March 8th for our monthly PTSA meeting to discuss next year's budget & priorities with Mr.Payne and the SSC. See the attached flyer for details. Please help us gauge attendance and rvsp (so we know how much food to provide). Upcoming Events - Call for Volunteers! Over the next few weeks we have Phat Sunday, Round 2 Auditions and our Spring Musical. We need your help for all of these to run smoothly! Sign up today by clicking on of the links below. PTSA & Wellness Meeting This Wed at 7pm! The PTSA is really looking forward to the special presentation on “Providing Safe & Welcoming Spaces at Home & School for LGBTQ & Gender Expansive Youth" at our meeting this coming Wednesday (Feb 8th @ 7pm). Hoping you will join us. See the flyer below for details. And please help us gauge attendance, so we know how much food to order. Click HERE! As a special treat to help celebrate Lunar New Year, we will be ordering some Chinese food and have a few other special treats. Yum! Festa Brasileira - Volunteers Needed! The World Music & Dance Department are seeking volunteers for the Friday & Saturday shows this week. Click the link below to sign up! Attention IM students! You can receive community service credit for dressing room help, set up, ushering, helping out with concessions and/or cleanup. The next two weeks are full of fabulous shows and a beautification day and we would LOVE your help. PS. Just a quick reminder. Our monthly PTSA meeting is tonight, Wed Jan 11th at 7pm in the school library. Happy New Year! Please join us for our monthly PTSA meeting. This coming Wednesday, January 11th starting at 7pm in the school library. We will have two special presentations on community service. See the flyer for more details. Yummy nibbles and drinks will be provided. Students encouraged to attend. Audition Day is Jan 7th. Your Help Needed! Audition day is this coming Saturday, January 7th! We need your help to make this day run smoothly for our student helpers, faculty, auditioning students, and their families. Please join us and sign up today! Wishing you all the best for the upcoming year. Here's to 2017! Happy Holidays to our fabulous administrators, teachers and staff!!! We appreciate all that you do for our students. We would like to send a BiG thank you to all the parents who brought in yummy treats: Barbara, Carol, Carrie, Christine, Cindy, Cristina, Dawn, Elizabeth, Ellen, Ellen, Emily, Esther, Frances, Heather, Janice, Jerry, Joanne, Karla, Kate, Kristine, Lydia, Maria, Mary, Morgan, Nancy, Naomi, Pamela, Paula, Sandra, Shellie, Sue & the PTSA. They looked delicious! We had ample to fill 150+ boxes. Yay. Enough for all the staff at Asawa SOTA & The Academy. More thank yous to all who volunteered to prep the labels, collect the goodies, wrap up and distribute those cute little boxes: Andy, Anne, Barb, Colleen, Ellen, Heather, Heidi, Janice, Joanne, Karyn, Kate, Kimberly, Kristie, Liz, Maria, Mia, Nan, Nancy, Sue & Suz. Thank you! And a special shout out to Liz Isaacs, for coordinating it all. For those not able to participate today, you can check out the yumminess, fun and love in the little video clip. Wishing you all a fabulous holiday season. Today is Giving Tuesday! • Let’s Hit 100% This School Year! Thank you to all the families and friends who have contributed towards reaching our fundraising goal as a community. In only 107 days, since the school year began, you've raised 49.85% of the goal of 100% participation across all of the departments. Your generosity and commitment have helped support more than 19 on-campus events, 7 off-site events, and almost 80 artists-in-residence who mentor, train, and teach more than 600 students, across 17 strands of arts instruction. There are always handfuls of students collaborating, putting on small performances, organizing workshops, competitions, and so many extra-curricular activities, many of which have been supported by your donations to the Annual Fund, and managed by the Friends of School of the Arts Foundation (FoSOTA). We’ve got 178 days to go until the end of the school year and at least 63 performances scheduled, and most likely a lot of great surprises before May 26. So let’s do this! Please join the Jose Ortega PTA & Asawa SOTA PTSA in conversation about re-imagining schools for the 21st century. We are thrilled to host a screening of the Sundance-selected film "Most Likely to Succeed" this Monday evening (11/14) starting at 6pm! There will be a post-film Q&A discussion w/a panel of bay area education & industry experts. Watch the trailer on vimeo. The event is free, but donations are greatly appreciated. Proceeds to benefit both Jose Ortega Elementary School & Ruth Asawa SF School of the Arts High School. You can reserve your spot HERE and make a donation.